Below are 8 expert-backed tips on creating and executing retail displays that pop. Another piece of advice? Incorporate curves, and opt for shapes that people don’t see every day. Smith, who worked as a general manager and operations manager for both Walmart and a subsidiary of Bed Bath & Beyond, adds that displays should be checked regularly, throughout the day, so they never appear shopworn (e.g. when they look like a dumping ground for items customers have discarded). If products are showcased in a busy retail environment, then invest in strong, long-lasting materials. “Durability is critical. The display must withstand the rigors of store traffic in order to look appealing,” says Gumbert. Messaging is critical, but positioning and hierarchy are just as important. Remember, it’s not just what you say, it’s how you say it. “Keep [it] simple with just a few solid points (5 to 7 words) that best describe the reason they need this product. Use bold, easy to read type,” she says. The best displays have so much more to offer than what meets the eye. Don’t rely on visuals alone to communicate your message. Find a way to appeal to the other senses of your customers. Another great example comes from Harry’s — a razor brand that competes with the likes of Gillette. According to Haeussler, one of the best displays that he had seen in his retail career came from Harry’s. Gumbert echoes this advice and says that brands must show people, not just tell people, about their products. This can be accomplished by creating experiential displays that delight people’s senses. “Simulate what it would be like to use or consume the product, illustrate the results or benefits, and make it aspirational,” she says. That said, if you do plan to implement experiential displays, see to it that they’re intuitive, adds Gumbert. If it makes sense for the product and audience, consider digital signage. It could be just the thing to help you stand out. “ Some of the best displays are ones that evoke an emotional response, especially when it comes to CPGs, because a lot of the brands don’t have a real big effect on a person,” Haeussler says. “How many people do you know get excited over buying a tub of dish soap or a bag of potato chips? I’m guessing not too many. But what gets people to impulse buy or to notice a display is when it evokes an emotional response. Coke and Pepsi distributors are good at this around the time of the Super Bowl. “There is a fine line between not having enough merchandise and having too much that it becomes a liability,” says Smith. CPGs and retailers must determine the appropriate number of products to be displayed, and make sure they don’t go overboard. And always make sure that someone restocks the shelves whenever necessary. You don’t want your displays to look empty. Designing a winning display is one thing, but ensuring that it makes it to the sales floor and that it’s implemented correctly is an altogether different ballgame. Understand the basics of a retailer’s “requirements,” including chain’s style guides, visual merchandising standards, rules for type usage, changing store formats, and display authorization procedures. Design appropriate display footprints for the promotion scope and allotted store space to ensure the best possible display compliance. Promote ease of set-up. Ideally, a display that arrives ready to go, already assembled with merchandise, will have a higher execution compliance. If assembly is required, be sure it won’t be too complicated, cumbersome, or time- consuming. Include detailed planograms to aid in assembly and proper display. Ensure on-time delivery. Failure to get all campaign elements in-store and displayed on time can cost a retailer and a brand thousands of lost dollars in potential sales. Use store profiling data that manages your POP program by automating the process of what goes where and when. Assign rules that only allow item x-y- z to go to Store A, and x-y- a-b- c to Store B. Eliminate tedious spreadsheets that leave room for error. Keep the displays well stocked. Make sure displays are restocked by either the store personnel or a third-party vendor. And once your displays hit the retail floor, make it a point to audit your programs to ensure compliance. Schedule a merchandising audit in advance, and, if possible, use an electronic (preferably cloud-based) auditing system to carry out the task. Most cloud-based audit programs are equipped with features that can make your team’s job a lot easier. Such features may include geolocation, calendars, and analytics, among other things. What’s more, solutions that run in the cloud can sync across multiple devices, so data can be shared easily. 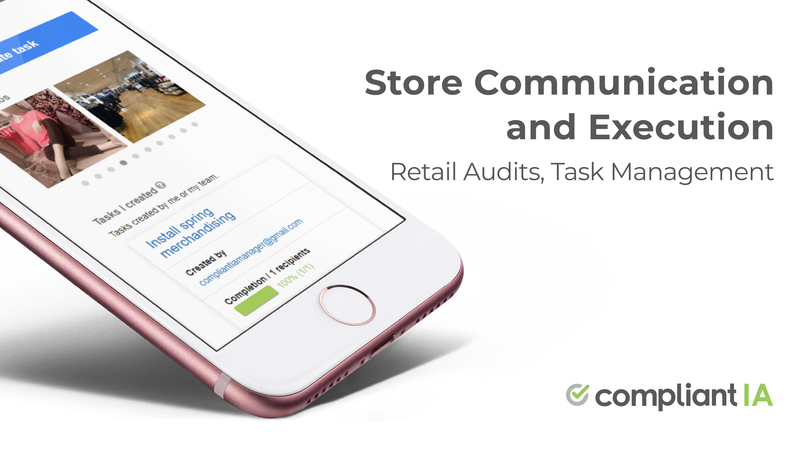 After you’ve completed the audit and analyzed the data, follow-up with the retailers. Don’t make the same mistake. 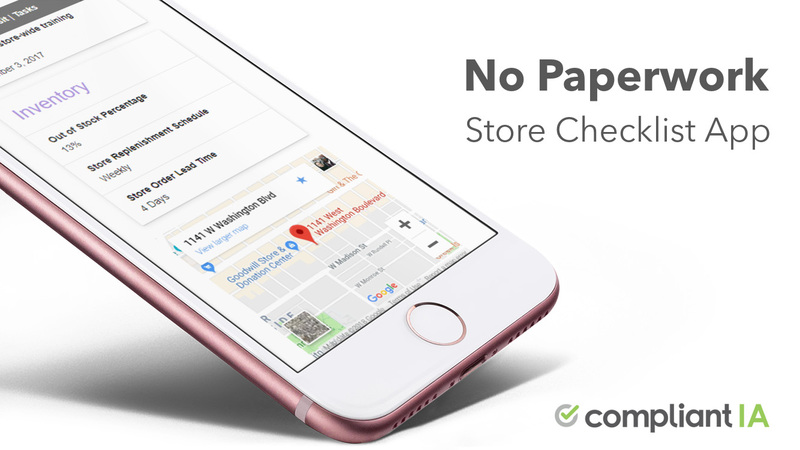 Check in with your retail partners after you’ve completed your audit. Communicate with them. Share your findings. In doing so, you’ll do more than improve compliance; you’ll setup your next program up for success. Do you have your own tips for creating winning retail displays? Share them with us in the comments. This is an excellent article, however it does not mention that removing stock that is not selling makes all the other work much easier. I like that idea of creating displays that create emotion. It’s always wonderful when a consumer can connect through that. I’ve heard that’s an effective way to market a product. I like how you suggested implementing displays that evoke emotion. I am designing a display for a trade show. Thank you for the tips on how to creating a winning display. I like your point about understanding the retailer’s style guides and visual merchandising standards. I can see why keeping a consistent theme for displays would be important for branding. This seems like a great way for customers to feel comfortable and familiar with the store.